If a book could speak to recount its arduous journey to reach the hands of its reader, then The Book of Yahweh would have an amazing tale to recount. From the earliest writings of Abel and Mosheh (Moses) to the startling visions of Yahchanan in the Book of Revelation – the Holy Writings have progressed through time and survived to bring its life-giving words to the reader of today. Falsified writings and book burnings notwithstanding, Yahweh preserved His inspired teachings, prophecies, warnings, and hope – evidence of His Power and Might – a modern day miracle! 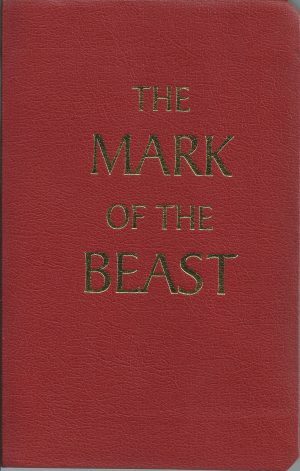 The Book of Yahweh stands apart from all translations of the Bible solely by the fact that in a set time, Yahweh Himself would guarantee that The Truth of His Holy Name, His Laws, and Prophecies would present itself upon a world stage one last time before the coming of the Marvelous Day of Yahweh. “The Kingdom of Yahweh is at hand,” said the Savior, Yahshua Messiah. His Life’s work, through the efforts of His disciples and their followers began our modern day miracle and the work of the Last Days Witness, Yisrayl and his followers bring that labor to completion at this time. Search out The Book of Yahweh and read! The book itself is a testimony of time and inspired direction of Yahweh, the Living Heavenly Father, and Creator of all life. Most accurate translation of the scriptures you will find! Best translation of its time. Clear easy to follow. The letters are not to small. I love that the proper names have been restored. The ABSOLUTE GREATEST VERSION ever translated into English. So much of the falsehoods and lies have been removed by using the oldest manuscripts known to man to clean up the lies. Reading this version makes things so much clearer because the confusion does not exist once the deception is removed. A MUST get book for anyone serious about the Holy Scriptures. Once again we can search out The Book of Yahweh and read to gain complete knowledge, wisedom and understanding from The Piller and Ground of The Truth to recieve true salvation. This is a most have book for life. I never knew the Creator’s Name is Yahweh and that the Messiah’s Name is Yahshua. The Book of Yahweh: The Holy Scriptures makes it so clear and easy to read. I have never come across a translation of the Holy Scriptures that compares to the excellency of the Book of Yahweh. First and foremost, it gives Yahweh, the Being Who created all living creatures and the Universe, the glory He deserves! 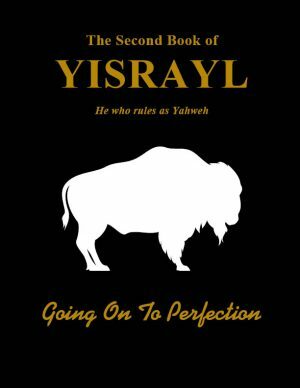 At last His Name has been restored to the sacred writings He inspired to be written and The Book of Yahweh makes it absolutely clear that Yahweh is not a god or a lord! Also, the true name of our Savior, Yahshua, along with the true names of Yahweh’s Prophets and Apostles are clarified in the Book of Yahweh. I have also been able to successfully learn about Yahweh’s Plan for mankind and understand the purpose for why He created me! I read an NIV before I read the Book of Yahweh; the confusion I experienced after reading the NIV has been obliterated by the understanding I have gained from the Book of Yahweh! The Truth concerning Salvation is now available to the world! I have read the Book of Yahweh cover to cover 8 times. It doesn’t get old, it is so easy to read, it is theost accurate translation and if this isn’t enough I still find stuff I missed the first 8 times. Love this book. The Book Of Yahweh ( B. O. Y. ) is the most accurate Sculptures written as compared to all Bibles on earth today. The side notes and the explanations teaches you more to understand the written down works of the Laws and the Prophets. Able to prepare you times ahead; as we face the end. The teachings alone from The Book Of Yahweh helps one to prepare for his or her own salvation. Easy to read with all the ORIGINAL NAMES Intact. After accepting the true name of the creator Yahweh and His son Yahshua, I could not find any Holy Scriptures that used these names when referencing the Father or the Son exclusively. Some scriptures used the sacred name but mixed in Elohim, God and Lord as well. 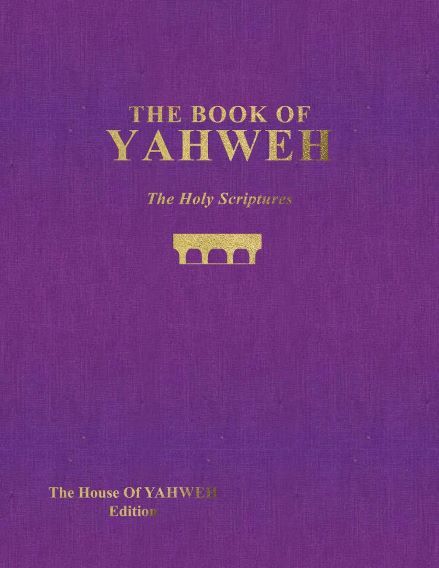 I am so thankful to have found this amazing book, the Book of Yahweh which uses the the name Yahweh to address the Father, and Yahshua to address the son. A delightful bit of history is given in the preface on the Book of Yahweh on why this book was suppressed in the first place. I praise Yahweh each day for this book as it helps me to understand who our Heavenly Father really is and His true loving character as well as how He works with Yahshua and the last day’s witness to bring Salvation to mankind. I have to admit that I don’t usually leave a review on anything, especially when it comes to books and who knows how many “versions” there are on the market today when it comes to the Holy Scriptures. But I have to admit that I’m really liking to read from The Book of Yahweh. I have a collection of Bibles from the King James. Interlinear and even the Companion Study Bible from many years past. But this Book of Yahweh really puts it in plain, easy to understand language. Now, I know that I don’t everything there is to know about the Holy Scriptures, and that I never gave it much thought as to why I was created. But when this book first arrived at my house I started skimming through it and guess what? I never noticed this before, so I have to admit that this has really helped to understand the reason for my existence. Read it about it in Genesis 1:26. – So, this got my attention and started me to reading more. I think I must have read for hours that day! So I thought I’d share a little of my experience I think it’s because its so easy to read and it always points to giving glory and honor to our Creator – whose Name is Yahweh – boy, that’s some awakening – my preacher never told me that, but anyway, I really like this book and I’d recommend it to anyone and have done so. I even bought one for my best friend You can see how it’s been researched thoroughly by its translators and when you are honest with yourself, you will have to admit as I have – I need all the help I can get and this is a very nice addition to my library and I find myself picking it up and reading from it more than any of my other books as it has a way of attracting your attention, so to speak. Well, I hope this helps for any one who is interested. We all need all the help we can get when it comes to salvation. The best translation ever and the closet translation to the original text where you have the correct name and only true name of our Creator Yahweh. You will find in this translation the correct names of the Prophets, Messiah, Apostles and various disciples involved in different aspects of the Creators work. This translation will help you to understand the various verses written in the Holy Scripture. A must have for all bible study students. Excellent work. It is hard to relate just how much of a difference this book has made in my life. 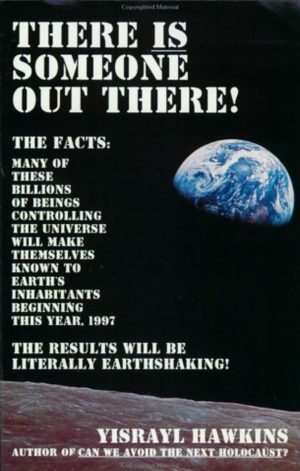 It so clearly reveals the true plan for mankind, and our role in that plan. I often struggled trying to read the KJV, knowing there was great wisdom inside but tripping over all the “thees, and thous”. This book will open the door to understanding The Greatest Mind in the universe! A must have for everyone. This is book is fundamental in striving to understand more about Yahweh and his plan for mankind. There is nothing out there quite like it, having the proper translations for the names of the great biblical figures and most importantly, the correct name for the Creator himself, Yahweh. I would strongly encourage everyone everywhere to get this book and make reading and studying it a regular part of their life. I call this Book My Golden Book, I value all my books on this site I like them to stay clean, and looking nice. My Book of Yahweh and my love for it is just no words can describe it. This book keeps me drawn to it because of the amount of information that is written in this one book. The amount of knowledge, understand an information in this book keeps my love growing for this book. First off the name of Yahweh and how awesome it is to know the name of Yahweh and have an understanding of who Yahweh is, and know him through this book. Not only that but to also know his plan and his work that he has and all the blessings and information he is so freely willing to give. Like I said no words can describe my love for this book, when I was younger I wanted to be a lawyer but my love for this book let me tell you this book is amazing it has like everything in one condensed book. It’s my blue print for a successful life, a blue print on who the true creator is and what I need to know about him, me and everything. Amazing. Now consider this, IF I am saying this book is amazing than imagine the mind of the one who wrote the book. ABSOLUTELY AMAZING IS ALL I CAN SAY. I could write more but I will not. You want truth? You want to know the way? This is it . You want to know the true facts of life and more? This is it. When I came to know the Name of Yahweh, I literally purchased 4 Bibles with the Name Yahweh which included The Book of Yahweh. Out-of-them-all, I chose the Book of Yahweh because it was easy to read and understand. I liked that all the original names were restored, I like the back of the book that gave the meanings of the names and I loved learning about the 12 stones; what they meant and the purpose of them. The footnotes are very helpful, they actually make studying the scriptures simple. They really help eliminate wasted time by connecting you to the related points. So many questions I had that I was able to obtain the answer for from The Book of Yahweh. This is my go to book. The only thing I’d recommend is a nice carry bag for it. It is a large book and carries some weight. Other than that, Love it! I am jut happy to finally own my first Book of Yahweh! I love the “Book of Yahweh ” , and it’s the most accurate scripture there is on the market today , and is second to none. Please don’t take my word for it , and you can easily buy one yourself ; which it is ten times easier to read then any of the books on the market today ,, and if your not scared of the scriptural truth buy it. For, as you read it yourself; then you’ll eventually go to the place “Yahweh ” has placed His Name , and you will forsake the god worshiping world that has been deceived.by Satan’s false preachers of this world. May Yahweh bless your understanding ! The Book of YAHWEH, The Book of knowledge, knowing righteousness from evil. 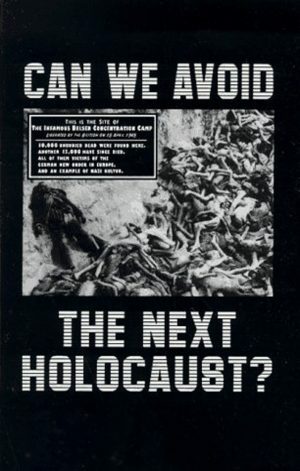 “The people perish from lack of knowledge”. PRAISE YAHWEH that we no longer have that excuse. The Book of YaHWeH.. limited only by Yah’s way! The only way in the end. I’m so thrilled to finally have The Book of Yahweh. It’s a thrill for me to read and study and I also love the introduction and notes. Thanks! I’ve read the KJV all the way through cover yo cover and could not understand any thing that I was reading. Then I came across The Book Of Yahweh and was amazed and struck with awe at how easy of a read this book is and my understanding just took off. I read a verse and it marginal foot notes and wow heh the seventh day is the Sabbath not sun-day the first day of The we like I had been taught to believe from a young child. But the most awesome and yet it was the most cruel lie that I was told from my youth was that god was the creator, but the The Book Of Yahweh revealed this lie and the awesome truth that the creators true and unique name is YAHWEH! Thus angered me that I was lied to from my youth, but I shook the anger off and I thanked and praised YAHWEH for His Book Of YAHWEH Of Truth that set me free of these evil lies concerning His Sabbath Day and His true Identity, Praise Father Yahweh!